Interested in transferring to a UC? The Center for Community College Partnerships is now accepting applications for 2019-2020 Cohort! CCCP is accepting applications from community college students who will be applying to transfer in or after Fall 2019. Click here for more information! 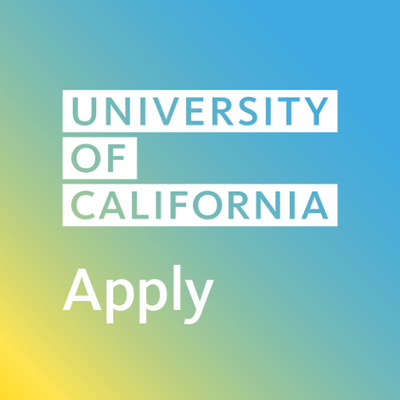 Each California State University has a specific deadline for submission of transcripts and supplemental applications. Click here to view the deadline for your transfer campus. The Career/Transfer Center, located in the Counseling Department, provides services to assist students in selecting a major or career goal along with preparing to transfer or completing an Associate Degree and/or a Certificate at LAVC. Career exploration is offered in conjunction with counseling to assist students in self-discovery and decision making. The Career/Transfer Center offers assessments that explores ones interests, skills, values, personality and learning styles. The Virtual Career Center, offers students online access to career/major exploration including self-assessments and other career development resources. The Career/Transfer Center reference library and computer lab provides information about occupations as well as transfer opportunities and requirements. Representatives from 4 year colleges and universities are available to meet with students on a regular basis. Several online resources including Eureka are available to assist students in their career decision making process. Eureka provides the most up-to-date California and national information on occupations, majors, colleges, and training programs. Students are able to make occupational print-outs of information to discuss further with a counselor. Please come into the Career & Transfer Center located in the Student Services Annex (SSA) or call (818) 947-2646 for more information. Currently, all students are eligible to take transfer level Math and English courses. Sign up for a workshop to learn more about this new policy! Gain hands on experience in the biomedical field, STEM, and other health related majors through BUILD PODER. Click here for more details. The Center for Community College Partnerships is now accepting applications for 2019-2020 Cohort! CCCP is accepting applications from community college students who will be applying to transfer in or after Fall 2019. A peer mentor who has already transferred to UCLA and can help you navigate the community college to maximize your opportunities. Saturday Academies (Fall, Winter, and Spring) that can provide you with more information about how to maximize the university after transferring. Coaching and assistance on the UC application and Personal Insight Questions. Major and career exploration, resume assistance, scholarship assistance and much more! Get a jumpstart on transferring, by joining us this summer.